The New Jersey State Library Talking Book & Braille Center (TBBC) provides no-cost, home-delivered, accessible reading services in New Jersey as a regional library of the National Library Service for the Blind and Physically Handicapped (NLS), a division of the U.S. Library of Congress. We serve NJ residents of all ages (children, teens, adults) who have difficulty reading standard print or holding a book or turning the pages of a book because of a physical impairment, a reading disability or a vision impairment. We serve individuals, all places in NJ who may at some time serve eligible individuals, and libraries. Read our kudos page. You must apply for TBBC’s no-cost services; find applications below. Questions? Call us toll-free at 800-792-8322. Places that serve NJ residents who meet our eligibility criteria. Institutional Application. Eligible places include, for example, adult day care programs, assisted living facilities, continuing care communities, hospitals, nursing homes, rehabilitation facilities and schools for the blind. 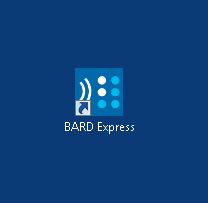 With an institutional account, you can receive no-cost, long-term loans of digital talking book machines, a collection of digital audiobook cartridges, Braille books and an institutional account to the Braille and Audio Reading Download site (BARD). Questions? Call TBBC at 800-792-8322 and visit our Frequently Asked Questions (FAQs) page.